What are Pump Trucks Used for? Pump trucks can be used for a variety of different things, but normally require moving heavy objects or a lot of smaller objects from one place to another. In bigger warehouses, it is common to have both manual and electric models. 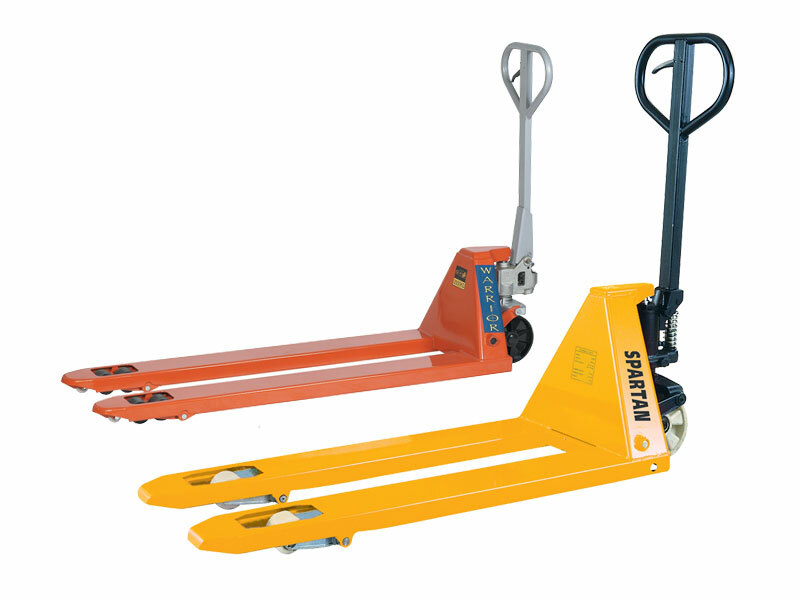 Manual pallet trucks are commonly used when single pallets are moved over short distances, for example, a small workshop, small manufacturing business or a warehouse. This type of pump truck is most commonly see in retail and personal warehousing. They can carry up to 2500kg. Earlier manual pallet jacks were loaded by mechanical linkages, more modern versions use a hand-pumped hydraulic jack to lift. These are ideal for warehouses as they can carry larger weights as they can carry up to 5,000-6,000lbs depending on the make and model. Some specially built power jacks can even lift more. These are best for use on loading docks and staging areas. How Wide is a Standard Pallet Jack? 7” Fork width, the dimension between the outer edges of the forks 20 ¼” (51.4 cm) and 27” (68.6 cm). Bearing in mind this is the dimensions for one fork, and a pallet jack has two forks. In the 1930’s it took 72 hours to unpack a boxcar, today, with the use of pallet trucks, it can be done in less than 4 hours. They make lifting and organising goods far easier. Both of these features add to the processes efficiency. There can lift goods to certain heights to make handling easier. This helps you store goods on high warehouse shelves and can also be useful when loading goods onto a truck or a van. If the warehouse doesn’t have enough space for bigger handling equipment such as forklifts, then this is a great alternative. 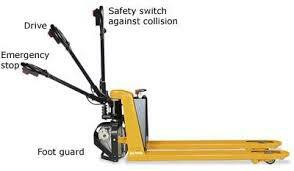 Pallet trucks help keep workers safe from injuries associated with heavy lifting. How to Acquire a Pump Truck? If you are looking to either rent or buy a pump truck, there are plenty of options both size and price wise. 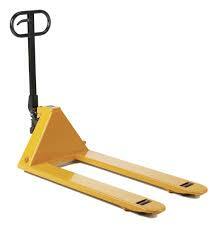 There are many benefits of owning a pallet truck if you work in a warehouse.